We're here to help you discover the amazing city of Berlin for yourself! 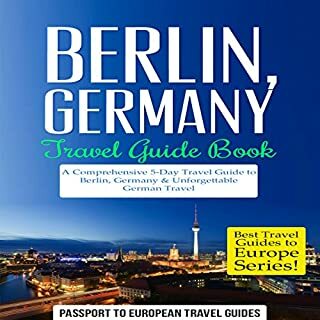 For a limited time, Passport to European Travel Guides offers this comprehensive, yet quick and concise, five-day guide to Berlin. Have no idea where to start? Or maybe you have an idea but could use some great insider tips? Well, listen on! You see, we know your trip begins before you even book your flight, and this guide is chock full of dynamite tips on everything you need to know before you go and much, much more! This guide will be an invaluable companion during your visit to Berlin. Berlin is a very modern and beautiful European city, but without a good guide you could miss some interesting places, because the city is huge. The audiobook covers many cool spots, helps you get organized, find budget sleeps and the most exciting nightlife locations. It is very well put together, narration is good and I would highly recommend it to anyone who is visiting Berlin for the first time. I went to Barcelona for a business trip and I also wanted to visit cool places in the city, but I didn’t have much time to spend in organizing the trip. This audiobook was absolutely perfect for my needs. 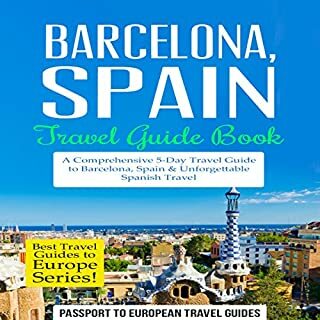 I managed to get the work done in Barcelona and to explore the city with the help of this guide. All the information in the guide is accurate, relevant and useful, I would highly recommend it. We invite you to come explore the eclectic city of Amsterdam, and see what surprises you! 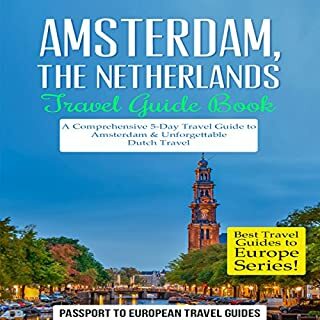 Passport to European Travel Guides offers this comprehensive, yet quick and concise, five-day guide to Amsterdam - one of Europe's most visited cities! I purchased this audiobook before I went to Amsterdam and it gave me all the info I needed to fully experience both day and nightlife in this beautiful city. The information in the book is correct and there are many useful tips for visiting the best places in the city. There are also great recommendations for tight budget travelers, on how to save money, where are cheap places to have a meal, etc. Overall, an amazing audio travel guide if you are going to Amsterdam. I have traveled all over Italy and I find Florence as one of the nicest places to visit there. 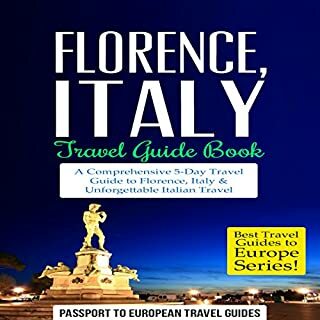 This audiobook guide has great travel ideas, top locations, tips, directions, well organized five-day Itinerary and much more. Its budget recommendations helped me save some money while I was in Florence. I just regret that they don’t make guides like this one for all the cities. If you are visiting Florence this book is a must-have in your collection. I started smoking 5 years ago, and I didn’t smoke more than 10-15 cigarettes per day, so I was not a heavy smoker. That is why I thought that I am holding things under control and that I will easily stop smoking when I want to. Boy I was wrong! I realized that in 2016., when I really tried to stop smoking. I just couldn’t. I would be free from smoking for a few days and then I would buy them again in a store. This audio book proved perfect for me. Since I started using methods and advice from the book I smoke just 2-3 cigarettes per day. Soon I plan to quit completely. 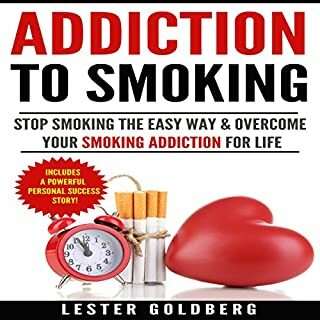 A BIG thanks to the author of this book, I highly recommend it to smokers who wanna get rid of this bad habit! 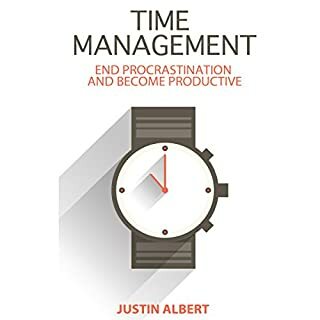 With time management techniques, you can truly maximize the way you live every minute of your work, school, or personal life. This book asks you the question: Do you find your life slipping away from you? Do you find that you haven't met your true success or life satisfaction, despite your continuation in the same mundane job and life? You were probably taught to fuel yourself directly into a job you don't like for résumé purposes. And now you find your day slipping away from you. I don't make most of my time and I am always trying to keep up with my deadlines. After listening to this audiobook I feel much more motivated to finally get my life in order. It is very well organized with some great concepts and ideas on how to stop procrastinating. I am not a native English speaker and I must mention the narration, which is perfectly done, the pronunciation is great and everything is easy to understand. Enhanced and effective communication is the number one tool people require in the business world and in personal relationships. With effective and efficient communication, people are able to lead with compassion and understanding, to find success, and to reach their goals with greater ease. 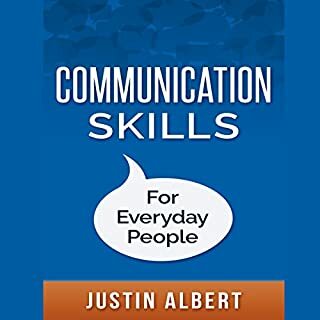 Communication Skills for Everyday People understands the following: It can be all too easy to be misunderstood in this world. I have always been a little bit shy around people and because of my lack of communication skills I never really advanced in my career as much as I wanted. There was always someone, who was not a better worker, but more social, who got that promotion that I always wanted. Thanks to this book, now I feel more motivated to interact with people and to step out of my comfort zone. I believe this audiobook will help me not only with my job but also in many other areas of my life! A vacation in the Greek Islands will cast a magical spell. It'll take you weeks to recover from! 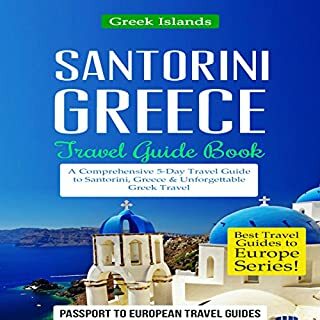 Passport to European Travel Guides offers this comprehensive yet quick and concise five-day guide to Santorini - one of the most beautiful locales on Earth! Santorini is one of the most prettiest areas, that you can visit, while in Greece. This audiobook will help you organize yourself and give you an idea from where to start. The guide will make suggestions which historical places and beautiful beaches to visit, places where you can try traditional Greek food, helpful tips how to find an accommodation according to your budget, and much more. Both the author and the narrator did a great job with this audiobook. 11 proven steps that can help you add value to your land are identified and clearly explained by a leading land broker. 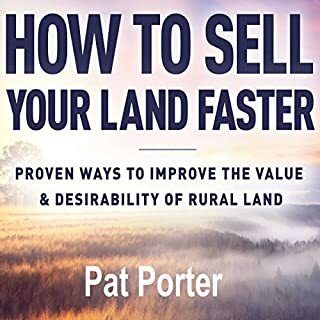 The steps offered in this concise book can help you sell your land faster by improving its overall desirability and by helping it stand out among other rural real estate tracts on the market. Not selling right now? This information will help you improve your property's value for a future sale, or just make it better for your kids and grandkids. This audiobook provides a variety of options and very concrete steps how to increase value of your property. My land is far away from urban area and its price is very low. With this audiobook, which provides some real life examples and very practical info, I hope I will be able to improve its value. I am not a native English speaker and the narration is done perfectly, everything is easy to understand and the pronunciation is good. A Great audiobook, 5 star rating well deserved! We are actually instructed by God during the night through dreams and visions. Reproof, correction, encouragement, and secrets are being downloaded into your spirit and your mind, and we are available to help you decipher the hidden code of dreams. A great little audiobook that will help you to better understand the meaning of your dreams. Everything is explained in a simple manner so that everyone can make sense out of their dreams very easily and quickly. 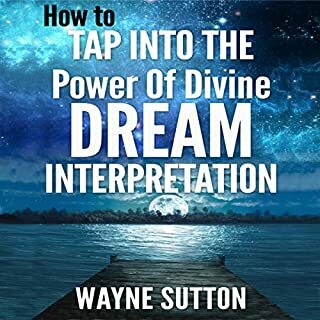 Now I don't have to spend hours thinking and analyzing what a dream meant, instead I can use this helpful and resourceful audiobook and save time. I highly recommend this material to anyone interested to "decode” the hidden meaning of their dreams.